This is part of a series of posts for Michigan 2014. Other posts in this series include: Tony's Original Restaurant, Whitehouse, Cops & Doughnuts, Levi's Food & Spirits, Genji's, Clam Lake Beer Company, and Grand Traverse Pie Company. On our way "Up North" (as they say in Michigan), the GF's family and I stopped by a small-town burger shop founded by two brothers in 1935. 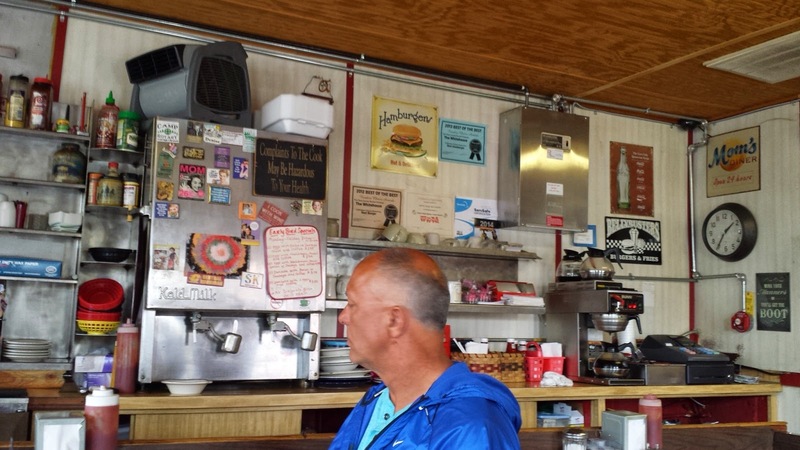 Back then, it featured only 3 tables and a counter selling burgers and hot dogs and while they've doubled to six tables since then, not much else has changed - and that's a good thing! 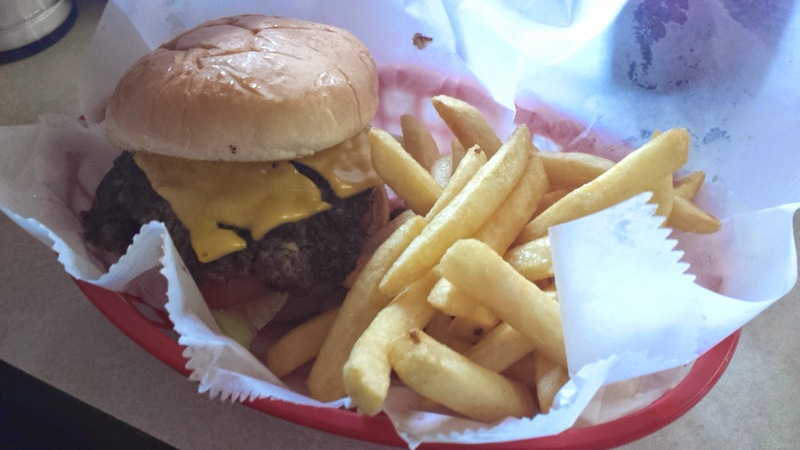 Now owned by Matt and Denise Jenks, 100% ground chuck burgers are made by hand and Whitehouse is open 7 days a week. The inside is cozy and kitschy. Service is delivered with friendly snark or a smile. 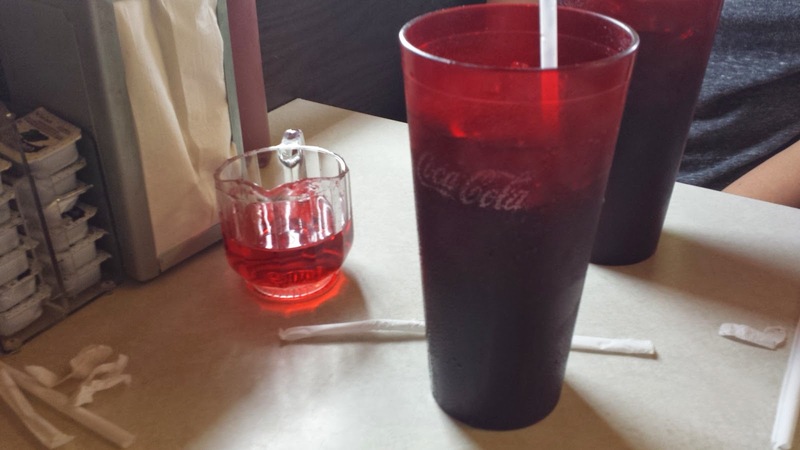 They have home-made cherry soda (or pop as they call it in this neck of the woods). Cherry syrup is provided on the side, to be added to your carbonated beverage. The GF went with the standard order, which was a 1/4 pound cheese burger with fries on the side. Affordable and delicious, these burgers were moist and housed in a light, fluffy bun. 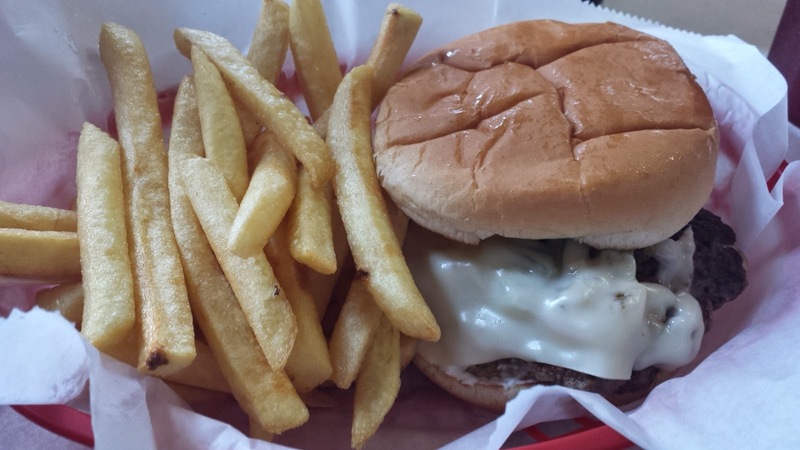 I eyed the 1 pound burger with bacon and mushrooms, but knowing that we'd be grilling later that day, I decided to go with the hometown option - the Philly burger. This was deliciously creamy, with the cream cheese really adding to the texture of each bite. The combination of green peppers and onions hit the spot too. 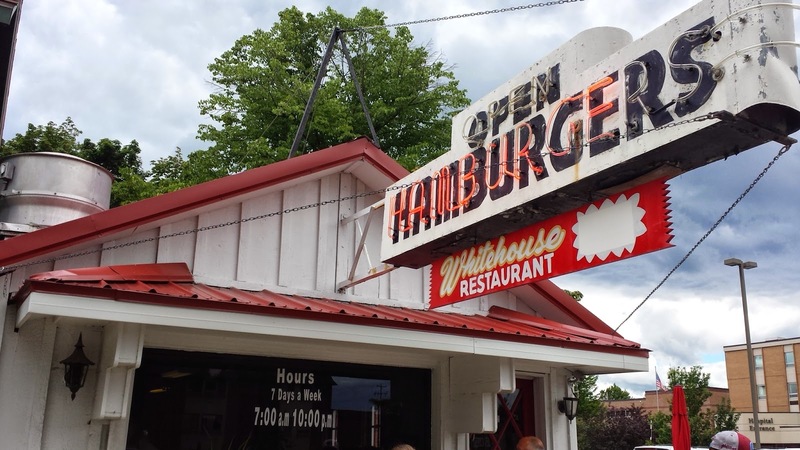 So if you're driving Up North in Michigan, do stop by Whitehouse and grab a burger. And if you want to satisfy your sweet tooth, hit up Cops and Doughnuts (post to come!) for some delightful bacon donuts when you're done. service to do your shopping for you. This will save you time and money by totally eliminating impulse buying.